This is a very hands on course that has been designed to cover the advance topics that are essential for successful commercial negotiation across a wide range of roles. This course will specialise in helping participants develop assertiveness, confidence and control in business negotiation situations.. The programme is designed to enhance learning through group and individual cases and exercises. There are a number of opportunities to simulate negotiation and bargaining situations, practice techniques and evaluate skill levels. In addition the course leader’s specialist knowledge and guidance are available in all sessions. The programme will be supported with handouts and post course references. The design of each course will provide for each delegate’s preferred learning style and optimise experiential learning processes. Tutor inputs will be aimed at giving direction and guidance to ensure effective learning, skill enhancement and attitudes to move with the times. The presentation of each programme will use the most modern technique, materials and equipment. 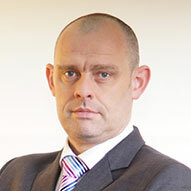 Graham Chambers is a British national, with very wide experience in the role of senior trainer. He is a former member of the UK military, where he served with distinction, from 1995 to 2006. For the past seven years, he has worked in various training positions in a range of organizations, primarily linked to the defence and security industries. In these roles, he has developed and delivered soft skills training programmes, and high level training courses on quality management and project management. Graham has been resident in the UAE since 2010. His post-military training career involved running a range of courses in leadership, effective communications, team building, planning and organizing skills, decision making, etc. He also delivered a number of technical training programmes. Graham brings real life experiences into the training room, some of which, due to his military career, are outside the normal experience and scope of many trainers. His military career included positions relating to intelligence, counter terrorism, homeland security, and international security. This work required a very focused and analytical approach, combined with excellent communication and leadership skills, and the ability to work in effective, manageable teams. He finished his military career in 2006, working at the Defence Intelligence and Security Centre, UK, where he was responsible for training recruits in many aspects of intelligence and counter terrorism. When he left the military in December 2006, Graham joined HMS Ltd, a security training organization as an internal trainer. In this post, he delivered training to international teams, from the USA, Europe, and the Middle East. In 2008, he was promoted to manage a team of five direct reports, with additional responsibility for the co-ordination of a 30+ member international team in multiple locations (including the USA, Europe, Asia, and the Middle East). In this role, Graham became something of an expert and was then requested to deliver training programmes to senior figures in the UK and US governments. He was also responsible for the project management of a number of government projects. In 2009, seeking a further challenge, Graham left HMS Ltd to join Explosive Learning Solutions, UK as a Senior Consultant and Trainer. In this post, he was involved in developing training programmes for commercial and military clients globally, including the British military, and the South African National Defence Force. During this period, Graham gained his PRINCE2 Practitioner (Project Management) qualification and utilised these skills in the new projects he worked on. He also delivered training courses in Six Sigma Facilitator Biography (a quality method for improving business efficiency and effectiveness), Change Management, Managing the Training Process, and Train the Trainer. In this position, Graham developed courses relating to projects for government clients, the content of which still remain, highly confidential and classified. He also coordinated all aspects of the training cycle, including instructor selection, purchase of support materials, course design, delivery standards, quality control of training facilities and materials, and effective follow-up. In addition, he delivered ILM (Institute Of Leadership & Management) programmes in Presentation Skills and Train the Trainer to senior / mid-level British government personnel. In 2010, Graham was offered a position with a leading national infrastructure security provider in the UAE. His specialist skills were required to deliver detailed technical training, mainly to UAE nationals. In 2013 Graham joined a globally recognized training organization and quickly became the lead trainer and often requested facilitator. In 2016 Graham left to pursue his goals as a freelance trainer offering the highest level of training in the MENA region. Graham has delivered training to over 1000 individuals in the MENA region across a diverse range of industries and sectors.Graham believes his experience and knowledge of the design, planning, and delivery of a wide range of programmes creates excellent outcomes in the training room, with positive feedback from delegates. Graham always strives to give people a positive and memorable training experience. Get exclusive content, tips, and special offers. Sign up today!